Optimize team performance during changing times. PAUL J. JEROME is VP of Richard Chang Associates, Inc., a diversified organizational improvement consulting and publishing firm based in Irvine, California. He is an experienced management consultant and business executive specializing in executive development, management training, team building, and performance management. Paul is widely recognized for his creative design and enthusiastic delivery of practical management tools and techniques. 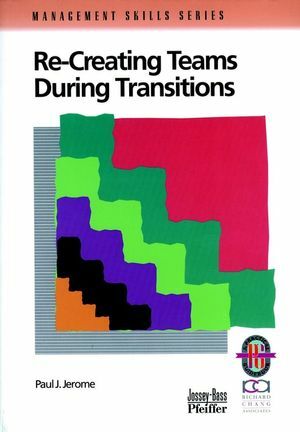 He is also the author of Coaching Through Effective Feedback and Re-Creating Teams During Transitions, published by Richard Chang Associates, Inc.